2017 is officially the year of Tesla. Tesla has proven yet again that its share of the electric car market is no joke. According to the company’s earnings report for the first quarter (Q1) of 2017, it delivered approximately 13,450 Model S sedans and around 11,550 Model X sport utility vehicles. That total of more than 25,000 deliveries to date brings Tesla closer to hitting its goal of delivering 47,000 to 50,000 vehicles in the first half of 2017. Tesla noted that these numbers could vary by up to 5 percent as they “only count a car as delivered if it is transferred to the customer and all paperwork is correct.” By the end of Q1, some 4,650 more vehicles were in transit to customers. Those will be counted under Q2 deliveries. According to NASDAQ, this is the highest Q1 on record for Tesla, and it’s about a 69 percent increase over the same period in 2016. In terms of first-quarter production, Tesla built about 25,418 vehicles, which is another quarterly record for the company. These numbers are good for Tesla, and the company expects to grow even more substantially as its lower-priced Model 3 draws closer to release. For now, its two existing vehicle models are doing fairly well in the market, and they may indeed help CEO Elon Musk hit his goals of delivering 200,000 cars by the end of 2017 and 500,000 by the end of 2018. For the latter target, the Model 3’s 200,000 pre-orders should make a significant contribution. Building Tesla was no easy task for Musk, who was often met with skepticism over his famously optimistic goals. Over the years, he has repeatedly proven critics wrong, while simultaneously surprising Tesla enthusiasts. 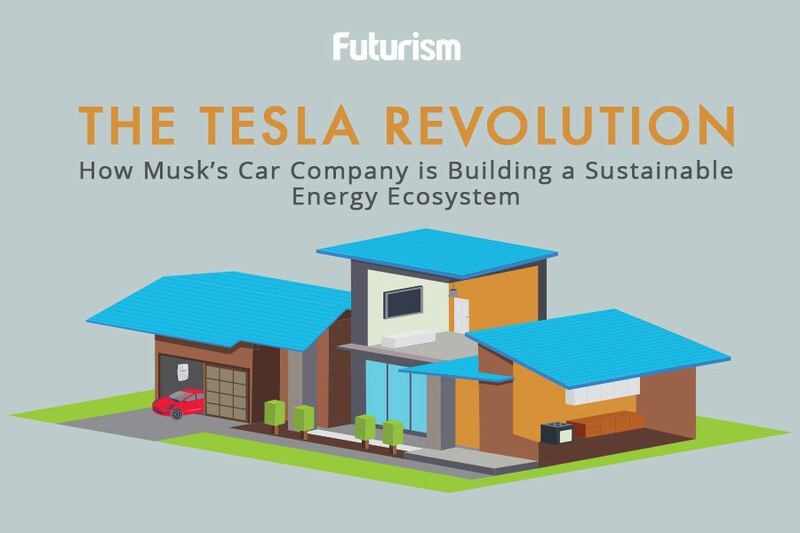 Though originally created as a vehicle manufacturer, Tesla has since grown into something greater — it’s become a renewable energy powerhouse. To that end, Tesla has built an ecosystem of energy products that include not just vehicles but also a home-battery system, the Powerwall, and a commercial energy storage system, the Powerpack. The company is also transforming energy on a utility-wide scale with an advanced microgrid model that combines its batteries with solar energy. That system has been tested to power an entire island. Tesla is currently gearing up to roll out its solar roof shingles, a product of the company’s acquisition of SolarCity late in 2016. “We would be the world’s only vertically integrated energy company offering end-to-end clean energy products to our customers,” Musk said during the SolarCity acquisition offer announcement, and now they are. Indeed, Tesla is no longer just a car maker. It’s become a leader in the renewable energy industry, working to putting an end to the use of fossil fuels, one car, roof, or battery at a time. Renewable Energy Is Shattering Records in the U.S.